Sugar Free Lemon Curd with the same creamy texture as curd with granulated sugar, but lower in carbs. Eat by the spoonful, spread on toast or use as a dessert topping! 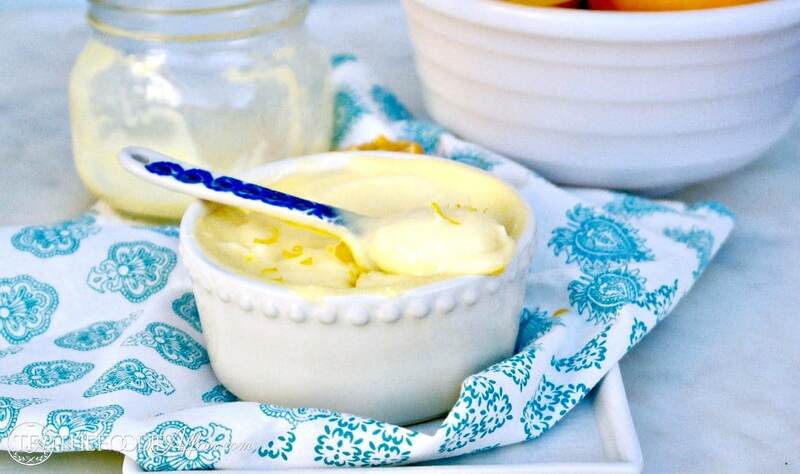 Fresh lemon curd is rich and delicious with just the right amount of sweetness followed by a zesty punch of flavor. Nothing reminds you that the spring season is here until you start using those fresh lemons in recipes! Agree? Lemons are in their peak season now, so start using them up and get that extra dose of healthy vitamin C in your foods! Need a quick and easy treat to serve for Easter? and once it is cold it can be added to a bowl of plain yogurt or topped on desserts like I did with these lemon thumbprint cookies, but feel no shame if it goes from spoon straight into your mouth! 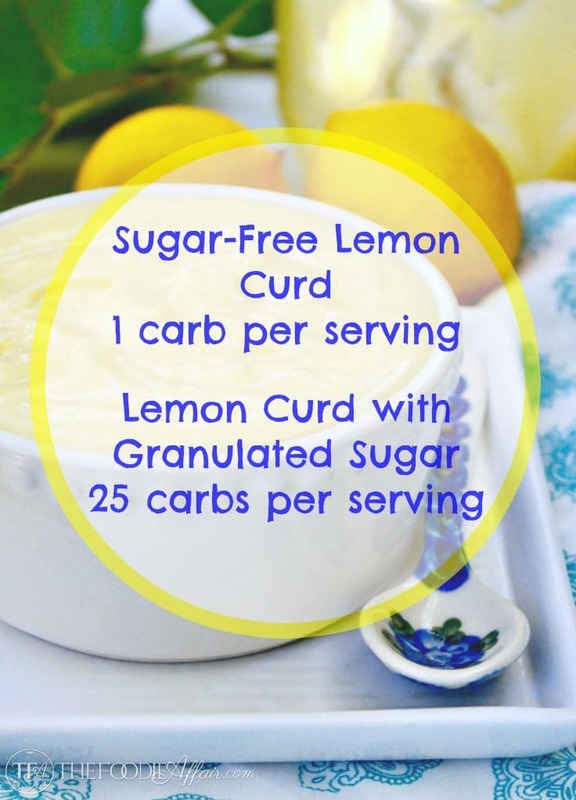 This curd is much lower in sugar than my classic lemon curd recipe with only 1 carb per serving. Still the same delicious flavors and less calories too if you monitor that macronutrient. Add this curd to these individual pavlova nests or how about making sugar free lemon curd bites?! In a non-reactive bowl, over simmering water, whisk eggs, sweetener, and lemon juice until blended. Stir constantly to prevent the mixture from curdling. The consistency should look like hollandaise sauce and will take close to 10 minutes of constant stirring. If you have a candy thermometer, you want the temperature to reach 160 F.
Remove from the heat and place through a strainer (optional). Add the butter, stirring until it has fully incorporated into the curd. Stir in the lemon zest. Immediately place plastic wrap directly on the curd to prevent a film (skin) from forming. Let it cool at room temperature, then refrigerate. really need this as a new dessert for my family!!! so yum!!! 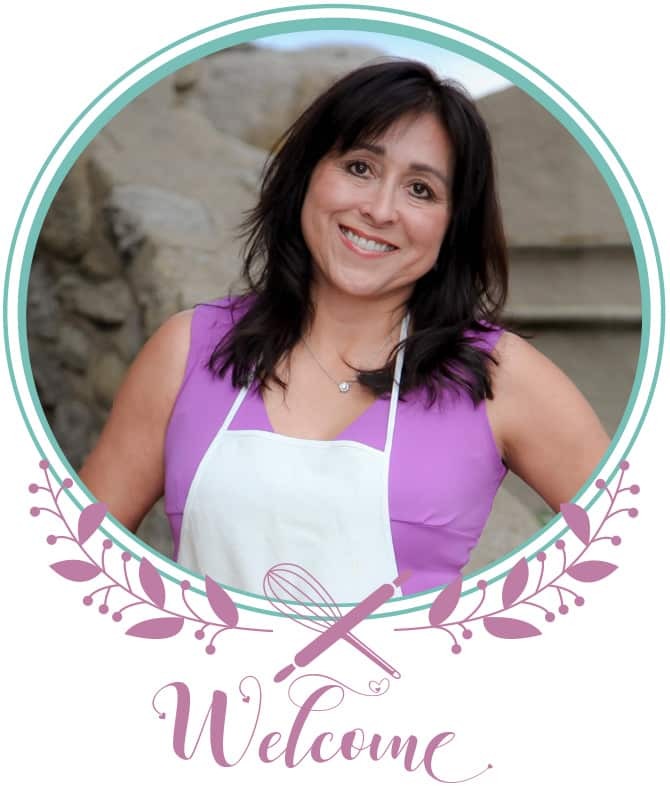 It’s so easy to make, Susan and delicious! Love lemon curd and use it to make a blueberry lemon curd tart each 4th of July. That sounds like a tasty duo, Karen! 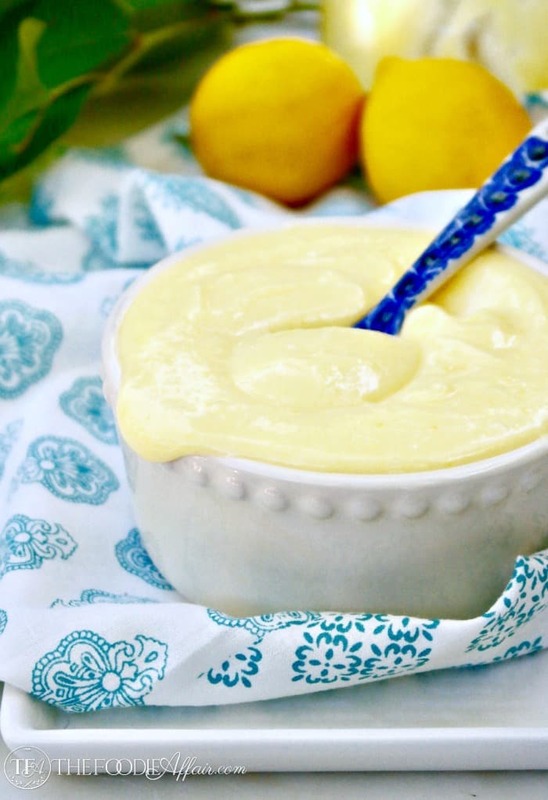 I absolutely love lemon curd and I love this sugar-free version! It looks absolutely creamy and delicious! Hi Lisa! It is nice that you can enjoy this without a sugar rush. It’s delicious! This is one beautiful treat. I am afraid it would never make it onto anything but my spoon! 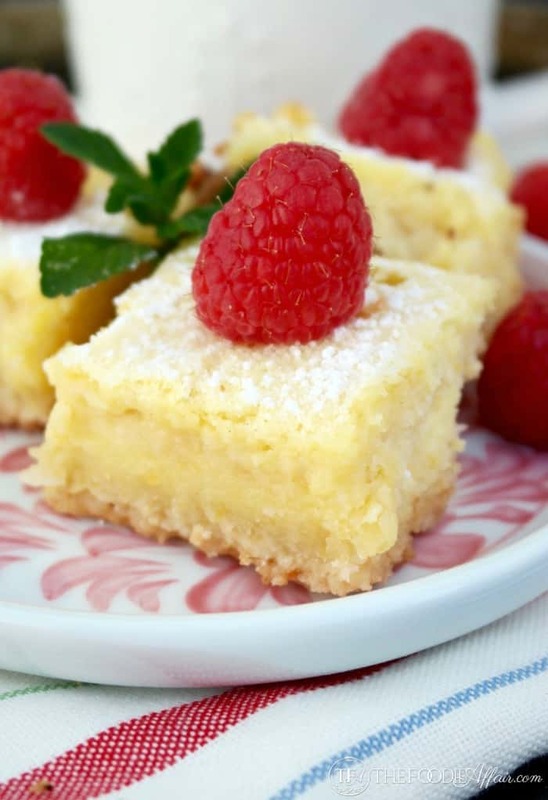 I can think of so many ways to use this sugar-free treat! I love everything about this! Yum! Thank you, Debi. I love to pair this curd with plain Greek yogurt. I just love that it is so healthy! This will be a perfect treat for my Dad. My folks are visiting next week and he is diabetic. I know he will LOVE this yummy dessert!! What a yummy treat! 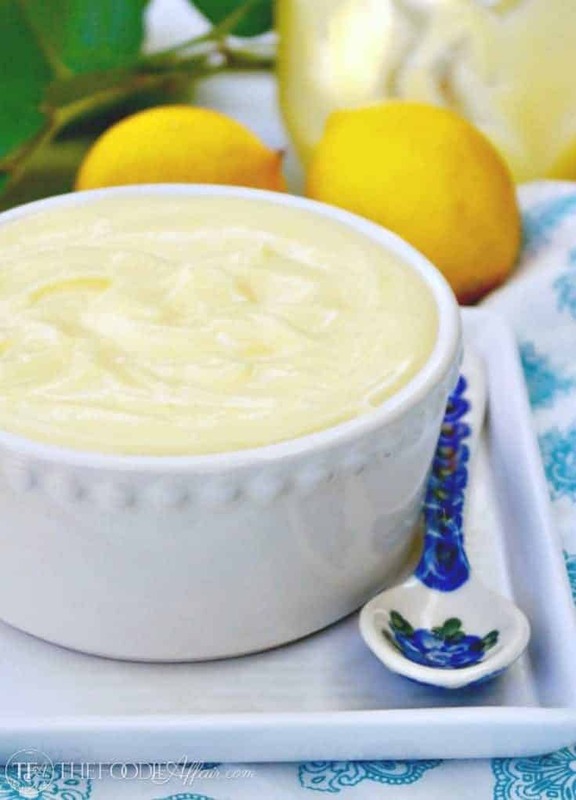 I absolutely love lemon…this will be perfect for so many different recipes! I love lemon too, especially when I get fresh lemons from my parent’s tree! Goodness, just give me a spoon and let me eat this right from the bowl! Love that you’ve made a sugar free version, too! Since I’ve been cutting back on granulated sugar I had to find a way to still enjoy creamy curd! 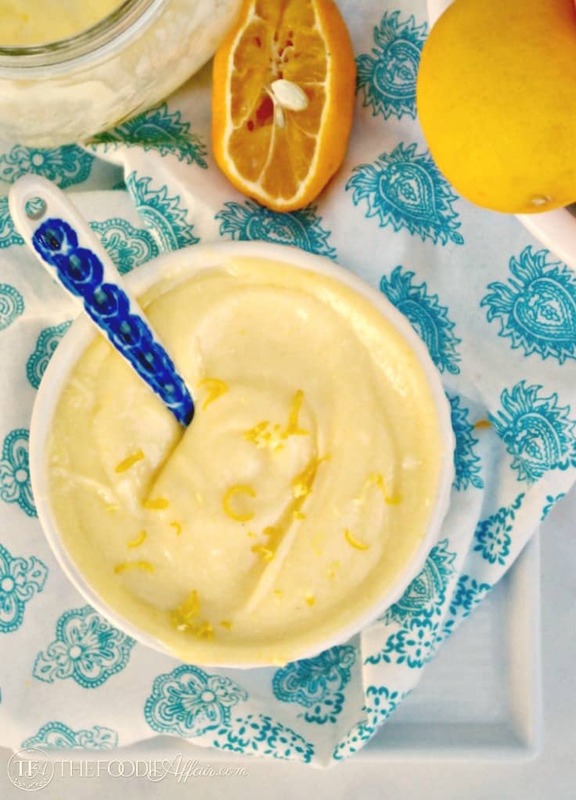 Lemons always make me think of spring and I can’t wait to try this on so many desserts! I have a lot of ideas floating around like mini parfaits and a trifle! I’ve never made lemon curd bu now i’m dying to! I love lemon curd!! This recipe is a must try for me! I followed your recipe exactly. It was very delicious! My only complaint was that the erythritol was grainy after cooking. Did I do something wrongt? Otherwise it was wonderful! I like to use the powdered erythritol. You can also grind the crystal to a powder in a blender to help break down the erythritol. Is it the same amount if using the powdered (Swerve)? Hi Kerre, yes, Swerve also have the same ratio 1:1. Enjoy! I made this last night and we all loved it over homemade yogurt! My only question is how much is s serving? A tablespoon? Thank you!! Hi Kristin! Yes, that is correct!